Donation: For Shabbat $180 which includes 2 nights. On weekdays, its $100 for the first night and $80 for each night after for 2 people per night. There is also an additional charge for extra guests in the rooms. 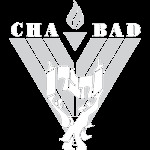 For reservations or more information, email suites@chabadlv.com or call 702-259-0770. The major hotels on the Strip or downtown are 4 – 8 miles from Chabad of Southern Nevada, a 1-2 ½ hour walk depending on which hotel you are staying in. For Shabbos; ask for a room that is not in the tower. The locks are electronic, however, Security knows our needs and they will let you into your room. The a/c runs on a motion detector and should be disabled for Shabbos or set to a constant temperature. For reservations or more info email suites@chabadlv.com or call 702-259-0770.